What Should My Boy Read? We seem confused about what books our boys should be reading. The glorious dawn of summer means parents are concerned about what their kids should be reading on their watch. This time of year always brings the inevitable plea for help from social media. Mom: My son is this age. He likes this sport. What books should he read? Well-meaning social media friends: Lists all sports books in existence. 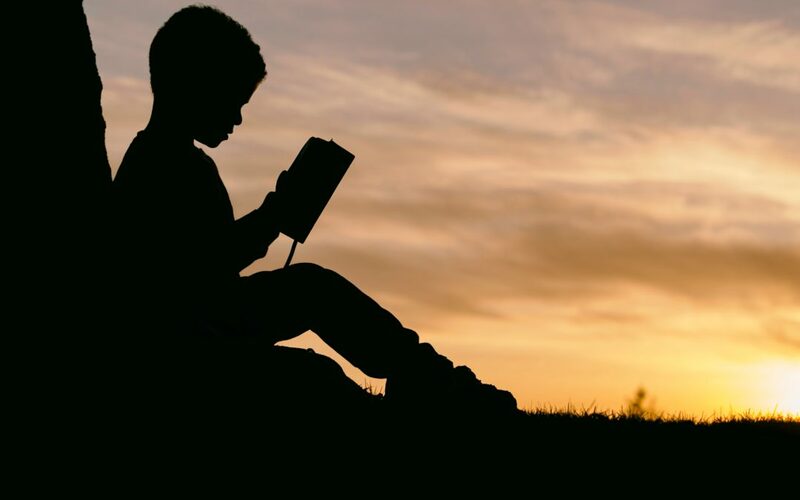 What books should my son read? The answer is everything. Your son should be reading everything! There are a lot of books out there. So many that a person could spend their entire life reading and never get through them all. Some of them are sports books. A lot of them aren’t. Encourage him to read them all. Our girls aren’t limited by societal expectations the same way our boys are. Nobody tells a girl, “Oh you don’t want to read that. That’s a boy book. Try this book instead.” A girl can read anything. This is likely why girls tend to enjoy reading far more than boys do. A study done in the UK in 2016 looked at how well boys and girls could answer content questions about the books they’d read. They tested over 700,000 students. The results for boys ages 5 to 18 were: “not particularly good – and they are lagging behind.” The boys tended to pick nonfiction books, because that’s what we’ve taught them, right? Find books about your hobbies. In this study it was thought that boys tended to skip sections of what they read even when they picked it out themselves. I’m not sure why this is baffling. I skip material I already know too. I’m kind of kidding. My boys love reading. They do love reading books that reflect their hobbies. We have plenty of Lego and Minecraft books on our bookshelves. But if they stopped there they wouldn’t have very much to read. They also love books that are clever and make them laugh. Like Fortune Falls by Jenny Goebel which is about an unlucky girl who lives in a town where superstitions are real. My boys loved this book. Superstitions aren’t a hobby of theirs. But what kid hasn’t ever wondered what would happen if you really could break your mother’s back simply by stepping on a crack? The good news is I can still influence my boys’ reading decisions even as they get older. Normally I don’t interfere with their reading choices. It’s not so much an intentional parenting choice as it is a lazy parenting choice. But they do a good job of finding books they’re interested in on their own, so I think I’m on the right track. However, sometimes I feel the need to share some recommendations. I looked at her to see if she was serious. Stamped across the front was the title Sisters. She has two little boys. Intrigued I picked it up and flipped through the pages. This was a story about sibling relationships, something my boys would relate to and think was really funny. I paid for it and took my copy home. When I presented it to the boys I knew it was going to take some convincing. They all joked and laughed, pushing the book at each other. “I’m not reading that!” Giggle giggle. I sighed. “You guys are dumb.” I cracked open the book to the page that had convinced me to buy it, a sketch that portrayed a family car trip complete with hilarious, but accurate descriptions. This was our family on car trips. The oldest played it cool. “Ok yeah, I’ll read it.” He snatched it from my hands. Soon his brothers huddled around him to read the pages over his shoulder. If we want our boys to love reading we have to quit teaching them that there’s only a small subset of books they will ever be interested in. Let’s give our boys the same freedom of reading that we give our girls. Love this! Our society is learning and it’s fun to see the growth. I like that you keep it positive. Think of all boys can be exposed to and allowed to do–you’re seeing that as positive. It’s much better than criticizing boys and men for paying less and caring less for entertainment and sports hosted by women. I love the attitude of inviting men in rather than shaming them. Shame is no bueno! Lol. I miss our good ol’ days!